City of Petersburg Council met Jan. 3. Mayor Rick Snyder called the City Council to order at 7:02 p.m.
A. Members present were Mayor Rick Snyder, Aldermen Kevin Molohon, Bruce Gorman, Rick Sonnemaker, and Keith Wilson. Also present were Treasurer Dave Frick, City Clerk Ken Ortman and City Attorney John Gabala. Alderman Nathan Grosboll and Alderman Andrew Gain were absent. B. Mayor Snyder led the Council in the Pledge of Allegiance to the Flag of the United States of America. C. A motion was made by Alderman Gorman and seconded by Alderman Sonnemaker to approve the agenda as Presented. VOTES: Sonnemaker, yes; Gorman, yes; Molohon, yes. Mayor Snyder declared the MOTION CARRIED. A. The City Clerk presented the Warrant List and Accounts Payable. A motion was made by Alderman Gorman and seconded by Alderman Wilson to approve payment of the bills as listed on the Warrant List and Accounts Payable. VOTES: Gorman, yes; Molohon, yes; Wilson, yes; Sonnemaker, yes. Mayor Snyder declared the MOTION CARRIED. B. 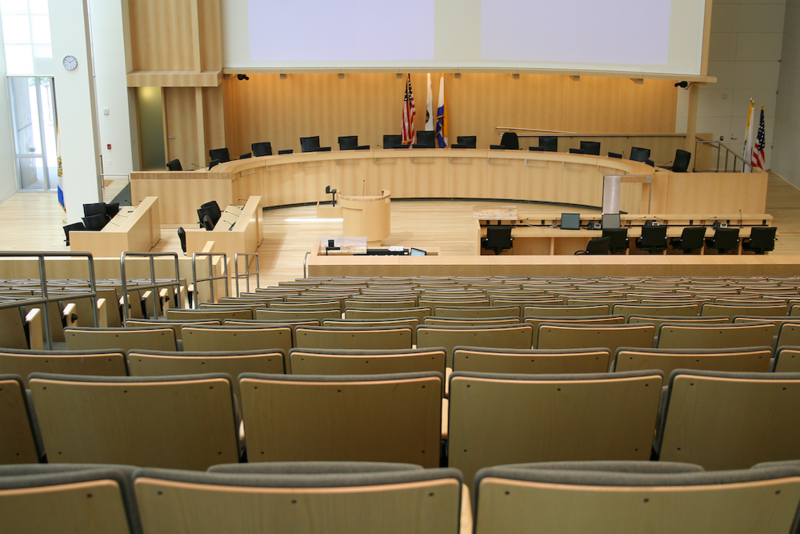 A motion was made by Alderman Gorman and seconded by Alderman Sonnemaker to approve the minutes of December 18, 2019 Regular Meeting. VOTES: Molohon, yes; Wilson, yes; Sonnemaker, yes; Gorman, yes. Mayor Snyder declared the MOTION CARRIED. Chief Coulter gave the Police Report. The Department had 273 CAD calls for the month of December. Patrolled 3,017 miles with the vehicles. The Department has been in the process of searching for a new officer. Alderman Wilson mentioned the Ordinances Violations and establishing a cat nuisance ordinance. 1. Poultry Plant storage for the City. Discussed an agreement with Cavan Sullivan for an agreement to store City materials on their property and deduct $100 per month from his $6144.00 water bill. He will have to keep his current monthly bills paid or penalties will be added. A motion made by Alderman Gorman seconded by Alderman Wilson to approve the agreement with the Petersburg Poultry Plant as amended. VOTES: Gorman, yes, Molohon, yes; Wilson, yes; Sonnemaker, yes. Mayor Snyder declared the MOTION CARRIED. 2. National Schools Choice Week. A motion made by Alderman Wilson seconded by Alderman Sonnemaker to approve creating a Proclamation for National Schools Choice Week. VOTES: Wilson, yes; Sonnemaker, yes; Gorman, yes; Molohon, yes. Mayor Snyder declared the MOTION CARRIED. Alderman Grosboll arrived at 7:38 pm. 3. Closing of the city dump with possible turning it into a tree nursery. 4. Oak’s renovation - Holly Wilson is trying to renovate the building. Treasurer Frick presented the Treasure’s Report for the Month of November 2018. A motion made by Alderman Molohon seconded by Alderman Gorman to accept the Treasure’s Report for November 2018. Sonnemaker, yes; Gorman, yes; Molohon, yes; Grosboll, yes; Wilson, yes. Mayor Snyder declared the MOTION CARRIED. Jean Wilson spoke on the Ordinance Violation that is going on next to her property. Discussion on the Railroad property on West Douglas at the bridge. Discussion on storing street material on the Stier property if the Poultry Plant falls through. Question on the Safe Route to Schools Grant. Chief Coulter asked to set up a meeting with the Personnel and Police Committees for interviews of potential officers. Meeting was set for January 9, 2019 7:00 pm. Discussed a drainage issue on Vineyard Hills Road. A motion was made by Alderman Gorman and seconded by Alderman Sonnemaker to adjourn the meeting. VOTES: Gorman, yes; Molohon, yes; Grosboll, yes; Wilson, yes; Sonnemaker, yes. Mayor Snyder declared the MOTION CARRIED. Meeting Adjourned at 7:59 pm.